Partly cloudy skies this evening will give way to occasional showers overnight. Low 49F. Winds N at 10 to 20 mph. Chance of rain 50%.. Partly cloudy skies this evening will give way to occasional showers overnight. Low 49F. Winds N at 10 to 20 mph. Chance of rain 50%. 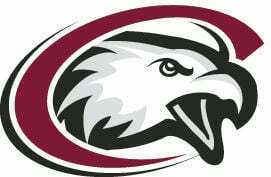 Former Chadron State College linebacker and graduate coaching assistant Clint Sasse will become a full-time assistant coach for the CSC football team, effective immediately, Head Coach Jay Long announced Tuesday. Sasse will coordinate special teams for the Eagles and will have linebacker coaching responsibilities as well. In addition, he will take on equipment duties. "We're extremely excited to have Clint back in Chadron," said Long. "His enthusiasm and passion for Chadron State is contagious, and I can't wait to see his segments thrive on the football field." Prior to Tech, Sasse was at Lee Williams High in Kingman, Arizona, where he was head coach for two years and defensive coordinator for one. He taught weightlifting and physical education classes and coordinated intramurals while employed by the school. As head coach he tutored tight end Edmond Ashton and linebacker Kael Juelfs to All-State honorable mention in 2017, followed by an All-State First Team nod for Juelfs in 2018. Juelfs later signed to play for he Eagles and will be a redshirt freshman on the team in 2019. 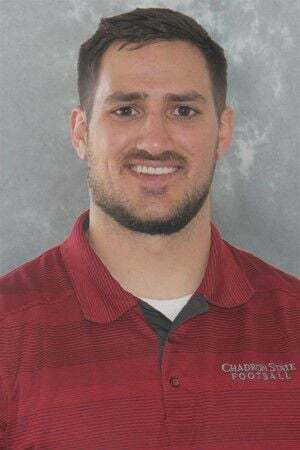 Sasse was the coaching assistant responsible for defensive backs at Chadron State while obtaining his graduate degree in 2014 and 2015. Under his watch cornerback Jordan Jones led the Rocky Mountain Athletic Conference in pass breakups as a sophomore in 2014, sophomore safety Ryan Wood made All-RMAC First Team, senior cornerback Lane Haller made Second Team, and junior safety Cole Montgomery garnered honorable mention. In 2015 Montgomery and Wood received honorable mention. "I'm excited to be here," said Sasse. "It's a great honor to coach for my alma mater, my former coaches, and the team where I got my coaching start. I'm taking on a big responsibility with special teams. I was a big special teams player here and I took a lot of pride in it. The culture that Coach [Craig Jersild] Jersey has created with special teams will make this an easy transition. Already having that culture there is going to be huge. It's nice to see all the familiar faces. This program is headed in the right direction and I'm ready to take it even further." Sasse is a native of Martin, South Dakota, and is married to another prominent CSC athletics figure, the former Kelsy Wood. A native of Hemingford, Wood was a two-time All-American in the heptathlon and 4x400 relays for CSC track and field in 2016.